I Am Little K - By Katarina Kovacevic: My Life Now: Hi, Remember Me? My Life Now: Hi, Remember Me? Life has been busy lately, (thankfully) full of lots o' work, including a few new clients like American Spa magazine and The New York Post. Honestly, I had to pinch myself after I typed that sentence. I am so excited! I'll share my articles on Style Jaunt once they're published. Stay tuned. Winter was also packed with travel. I went to Jamaica and Indianapolis for work and then we spent Easter in South Carolina with family. Jamaica met and exceeded my expectations. I traveled with a group of writers and we stayed at Round Hill Hotel & Villas, swam in a natural plunge pool, and had the most amazing farm-grown and home-cooked meal with one of the coolest couples I've ever met. I've officially added Jamaica to my "If I weren't Croatian" list. Meaning, if I weren't Croatian, I'd want to be Jamaican. (Also on that list: Irish, Scottish, and a hot Latina.) Jamaicans are some of the warmest, happiest and funniest people I've met. They're also really proud to be Jamaican, which I love. Our home away from home at Round Hill, "cottage" 16. 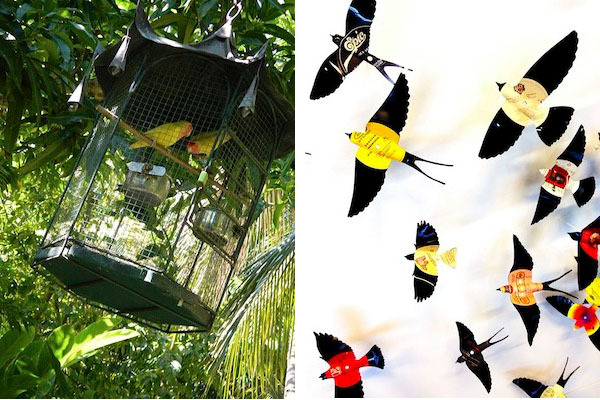 Left to right: Pretty birds at Round Hill and artsy birds at The Alexander Hotel in Indianapolis. After sunny Jamaica, it was back to chilly NYC and then on to chillier Indianapolis. I can't wait to share all of my cool Indy findings with you guys! I was lucky enough to be able to bring the husband along on this trip. We spent two nights at The Alexander, an awesome art-filled hotel downtown, and ate our way through the city. AND - one of my top 10 most memorable life moments - toured downtown in an actual IndyCar! 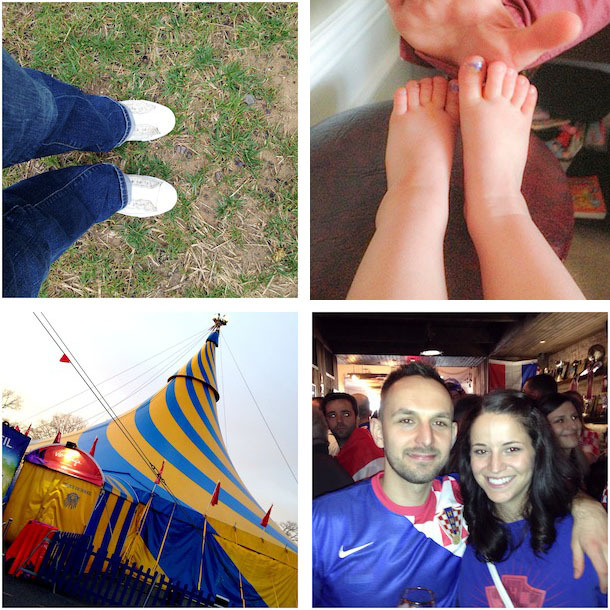 Clockwise from top: A moment with nature in South Carolina, my god daughter's adorable toes, husband and me at the Croatia World Cup qualifier game party in Astoria, and the tents at Cirque du Soleil's Totem. Between travels and after Easter with family in South Carolina, it was back to life in New York City. I experienced my first-ever major Croatian soccer event on the East Coast last month when we played Serbia in the big World Cup qualifying match. We watched the game at Veslo in Astoria with a few hundred of our closest Croatian friends. (By the way...Veslo = delicious.) And somewhere in there we saw our first Cirque du Soleil show, too. Totem was a ton of fun! I highly recommend it. Making friends in Central Park. The Hans Christian Andersen statue is one of my favorites! Our snow (and slush) covered block! You can keep up-to-date with my latest travels and adventures on Instagram, Facebook and Twitter!